At a news conference in Las Vegas, officials from the NASA and the U.S. Department of Energy detailed the development of the nuclear fission system under NASA’s Kilopower project. Months-long testing of the system began in November at the energy department’s Nevada National Security Site, with an eye toward providing energy for future human and robotic missions in space and on the surface of Mars, the moon or other solar system destinations. A key hurdle for any lengthy human mission on the surface of a planet or moon, as opposed to NASA’s six short lunar surface visits from 1969 to 1972, is possessing a power source strong enough to meet the various energy needs to sustain a base but small and light enough to allow for transport through space. Testing that has been completed on components of the system, dubbed KRUSTY, has been “greatly successful — the models have predicted very well what has happened, and operations have gone smoothly,” said Dave Poston, chief reactor designer at the Los Alamos National Laboratory. President Donald Trump in December signed a directive intended to pave the way for a return to the moon, with an eye toward an eventual mission to Mars. 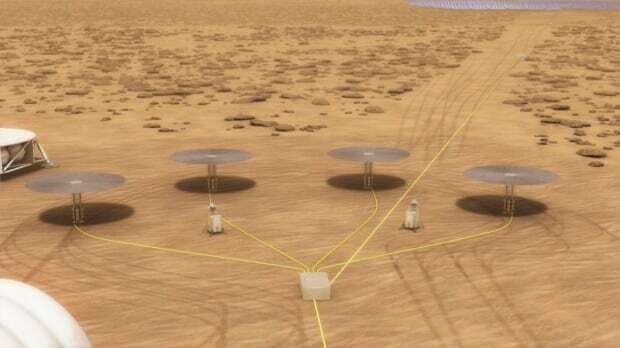 The new system could potentially supply the power human crews on the Martian surface would need to energize habitats and run processing equipment to transform resources such as ice on the planet into oxygen, water and fuel, NASA said. NASA’s prototype power system uses a uranium-235 reactor core described as roughly the size of a paper towel roll.